Today marks the 29th anniversary of the darkest day in the history of Liverpool Football Club. The Hillsborough disaster claimed 96 innocent lives on this day in 1989. 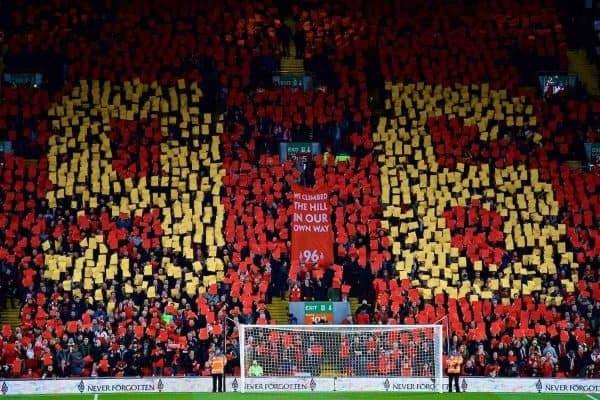 This year marks the second anniversary of the disaster since the jury in the inquests concluded that Liverpool supporters were unlawfully killed. The jury, on April 26 2016, found that both the police and the ambulance service caused or contributed to the loss of lives in the disaster by an error or omission after the crush in the west terrace had begun to develop. 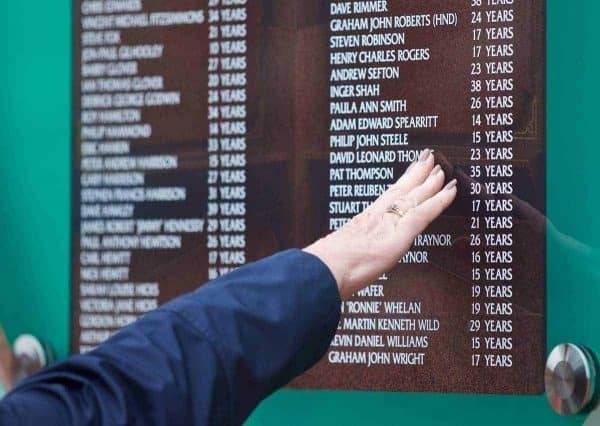 Following the inquest verdicts, it was decided by the Hillsborough families that 2016’s memorial service at Anfield would be the last. There will, however, be a service at the stadium for next year’s 30th anniversary. Today players and staff across the club will fall silent at 3.06pm to observe a minute’s silence to mark the 29th anniversary of the Hillsborough disaster. The Hillsborough Family Support Group will hold a small service in Liverpool City Centre. Manager Jurgen Klopp and captain Jordan Henderson placed a wreath at the Hillsborough Memorial at Anfield this morning. 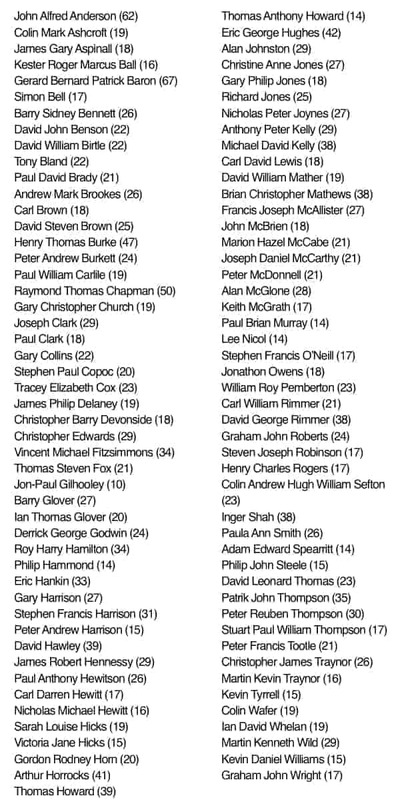 In memory of the Liverpool supporters who went to watch their beloved Reds on April 15th, 1989, but never returned. May they rest in peace and never be forgotten.